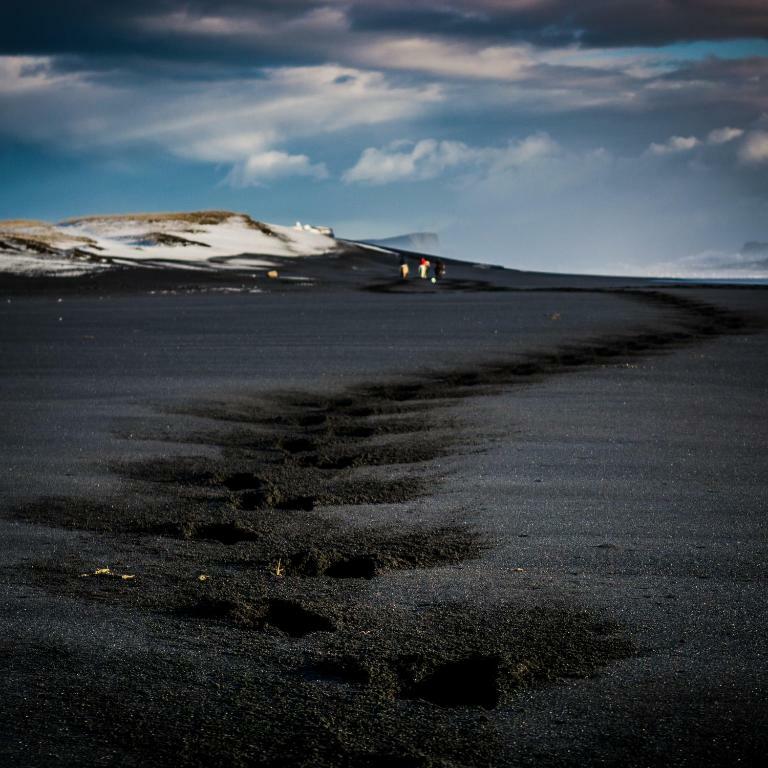 The staff was very friendly and helpful.the cabins were comfortable and the private black sand beach was beautiful. It was close to Vik if you wanted to go to town. Cute little cottage a short walk from the beach. We had a great stay. The nature is just exceptional. Beautiful vistas and a superb property for looking at the Northern Lights. Initially we booked this apartment is because the location stated is about 300m walking distance from the railway station. When we arrived at their office, the staff told me we have to take another tram to their apartment. We feel so frustrated and disappointed as it is difficult for us to find the apartment with our two big luggages. We feel we are cheated. It was so nice! The kitchen was great, it had everything you needed to cook a good meal. The beds were also very comfy (even the pullout one! ), and the bathroom was very nice. This place exceeded my expectations. It was great to have our own little cottage. Had great views. Great location, not too far away from a lot of activities but isolated. Greeted by friendly dogs. We took a walk to the private beach and the dogs kept us company. Having the ability to cook was very nice. We liked the peaceful location close to the beach and could hear the surf pounding. 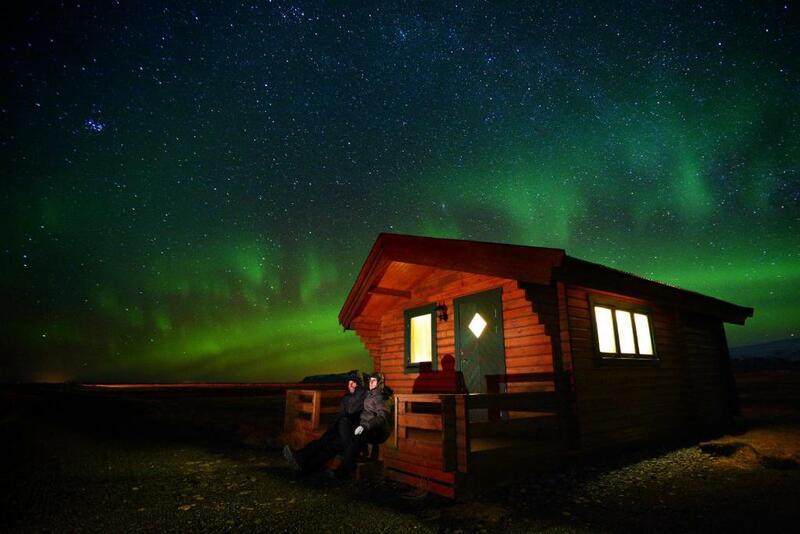 We saw fantastic Northern Lights from the side of this cabin and there were very few lights around to spoil the photography. The cabin was locate in a vast farm. Very cosy with a lovely porch. We arrived on a rainy evening so didn't walk around. It must be wonderful to sit on the porch to watch the sunset on other days. We call to tell them that we were still on the road after check in, and they told us that someone will be there. Walk to a private beach, nice views of the surrounding mountains. Lock in a great price for Mid Hvoll Cottages – rated 8.7 by recent guests! 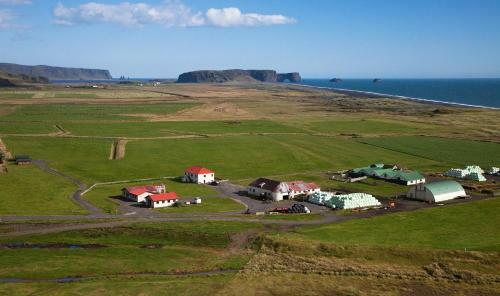 Mid Hvoll Cottages is located 6.2 mi from Dyrhólaey peninsula. The cottages feature a well-equipped kitchenette and a terrace with sea and mountain views. The open-plan cottages feature wooden interiors. All include a dining table seating area and a private bathroom with a shower and hairdryer. Kitchen facilities include a stove, microwave and fridge. 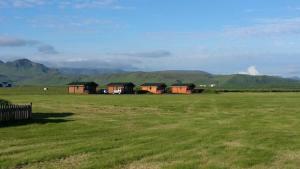 At Mid Hvoll Cottages you will find a garden and barbecue facilities. WiFi is free in public areas. Horse riding and hiking are popular activities in the area. The Route 1 Ring Road is 1.2 mi away. Vik village center is a 15-minute drive from the cottages. 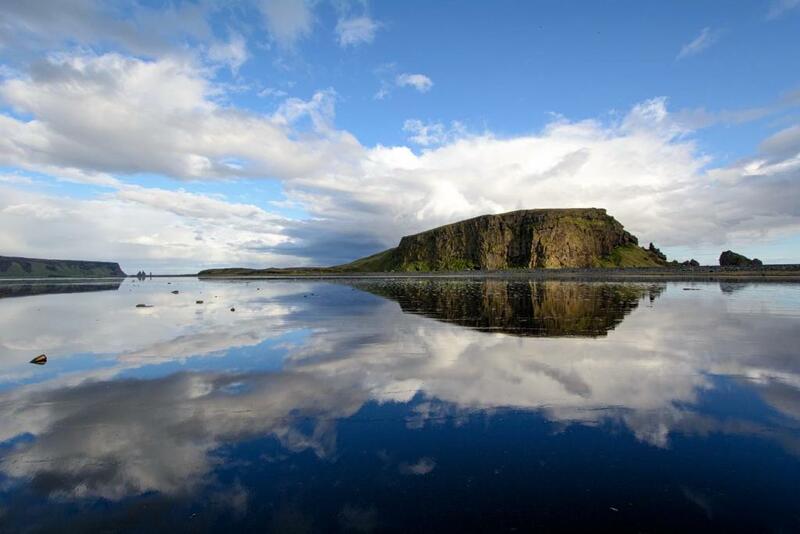 This property also has one of the top-rated locations in Suður Hvoll! Guests are happier about it compared to other properties in the area. 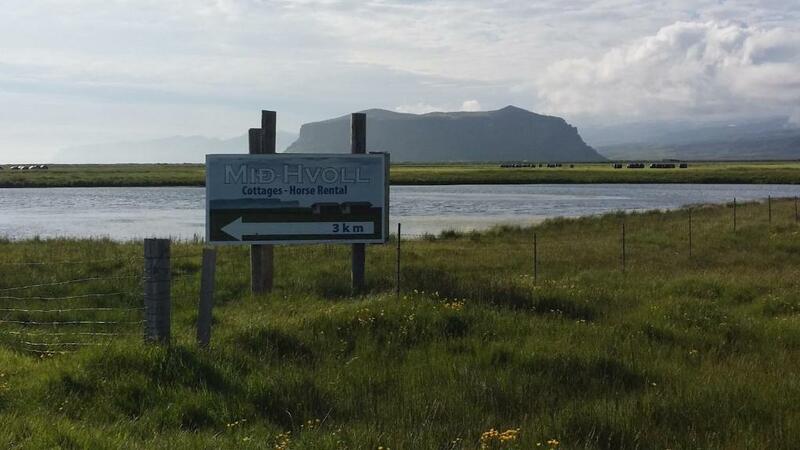 This property is also rated for the best value in Suður Hvoll! Guests are getting more for their money when compared to other properties in this city. When would you like to stay at Mid Hvoll Cottages? This holiday home has a oven, electric kettle and stovetop. Mid Hvoll Cottages is located close to the Dyrhólaey peninsula and Reynisfjara black sand beach. 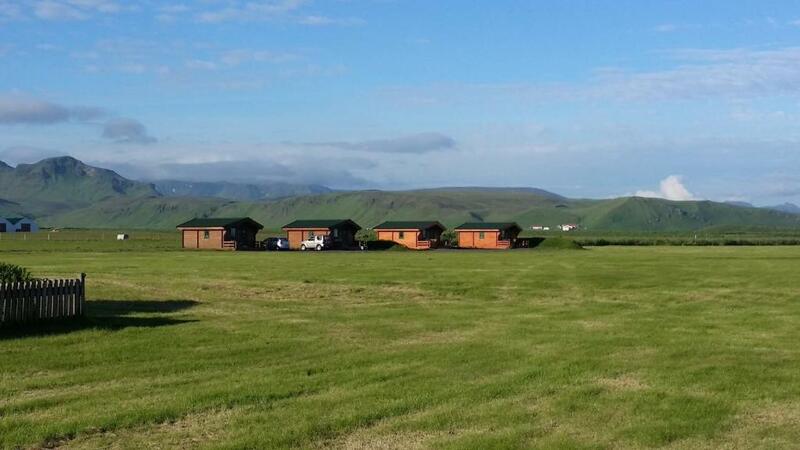 The cottages have breathtaking views of the nearby Mýrdalsjökull glacier, Pétursey and the renowned Eyjafjallajökull volcano. The open-plan cottages feature wooden interiors, a well-equipped kitchenette, a dining table, seating area and a private bathroom with a shower and hairdryer. Kitchen facilities include a stove, microwave and fridge along with all necessary kitchen utensils. Each cottage contains a bedroom with a double bed and a single bunk bed, and a pull out double sofa bed in the lounge area. 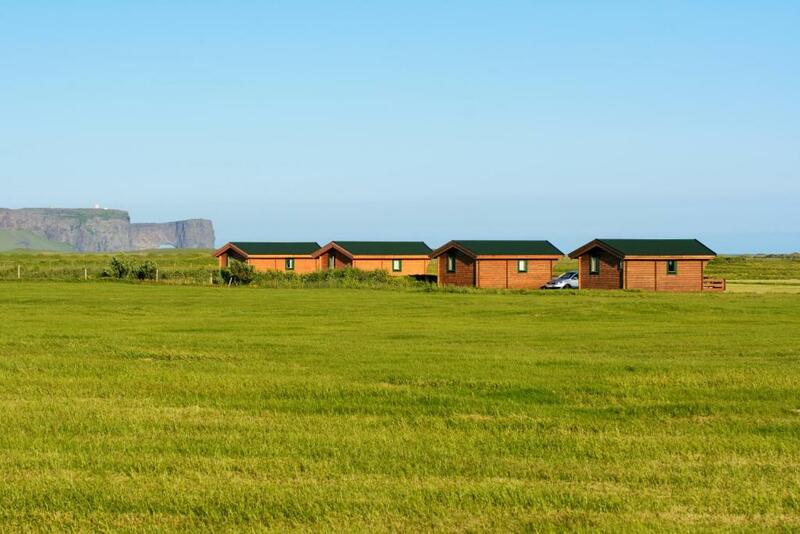 At Mid Hvoll Cottages you will find outside seating and barbecue facilities, perfect for summer evenings and Aurora spotting during the winter. Wifi is free in all cottages. Horse riding and glacier hiking are available activities in the area. The cottages are located 3 km away from the Route 1 Ring Road. The village of Vík is a 15-minute drive away for the closest amenities such as a supermarket, bank, gas station and restaurants. There is a lot to see and explore in the neighbourhood. The black beach is in 5 minutes walk distance from the cottages. 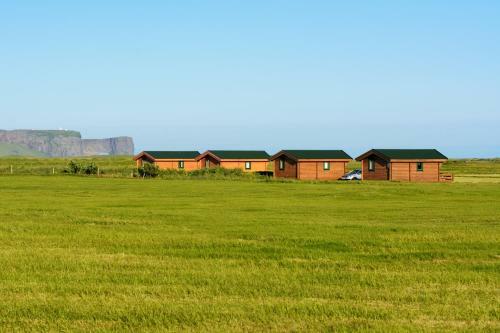 Dyrholaey is seen from the cottages and in few minutes you drive there and also to Reynisfjara. The plane wreck in Solheimasandur is in about 15 km distance and Skogafoss and Seljalandsfoss is also in our neighbourhood. Solheimajökull glacier is in simular distance. 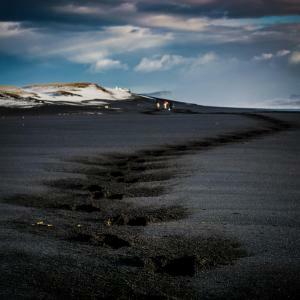 From our place you can do a daytour at Jökulsárlón, Þórsmörk, Landmannalaugar and Vestmannaeyjar through Landeyjahöfn. 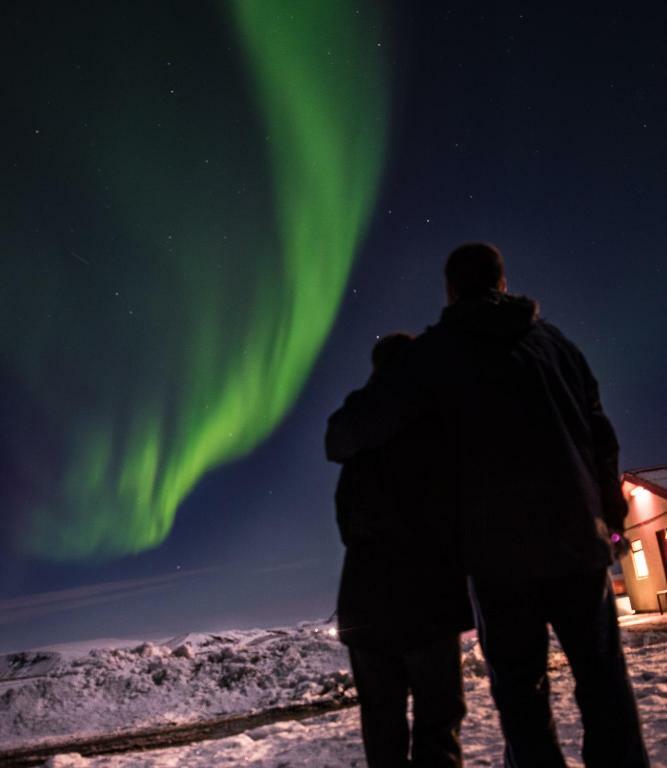 It is also possible to do the Golden circle on a day tour. From Reykjavik it is about 2 hours driving and Vik is in 10 minutes drive distance. There is a grocery store, gas station, restaurants and bank. A good restaurant, Gamla Fjósið is in 40 km. distance, direction to Reykjavik. House Rules Mid Hvoll Cottages takes special requests – add in the next step! Mid Hvoll Cottages accepts these cards and reserves the right to temporarily hold an amount prior to arrival. You can clean before check-out or pay a final cleaning fee. An additional charge will apply if excessive cleaning is needed after inspection. Please inform Mid Hvoll Cottages of your expected arrival time in advance. You can use the Special Requests box when booking, or contact the property directly using the contact details in your confirmation. The location is amazing. Has the best views! Basic but comfortable and well equipped. A very good place , quite and beautiful view to the beach. I think it is a perfect place for northern light seeing, but we cannot wait it due to bad weather even though we stepped out for long time. And the kitchen is wonderful for cooking a big dinner. Lovely location, warm, cosy and the dogs were adorable! Nice & Cozy cottage. No hot water in the morning otherwise it will be perfect stay!